How romantic are these Bliss by Monique Lhullier gowns? We love the feminine silhouettes, lovely lace and floral detailing. 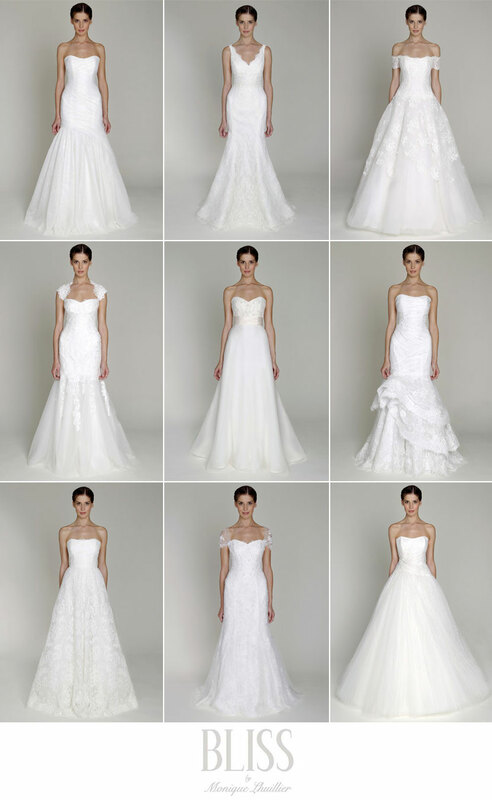 Any bride would look stunning in one of these breathtaking gowns! Find your own Bliss gown locally at Stardust Celebrations and The Bride’s Room. Schedule your appointment today for the Bliss by Monique Lhullier trunk show this weekend, March 15 – 16, at The Bride’s Room – call 817.737.4100. Cheers!